The Daily Beet is a modern health-centric cafe that serves seasonal hearty salads, cold-pressed juices, smoothies and other healthy fare. Located in the rapidly-developing Warehouse District, The Daily Beet's menu includes crafted salads, a granola bowl with acai and seasonal fruit, a quinoa bowl with avocado and black beans and avocado toast on bread from the bakery Leo's Bread. Located in the CDB, this coffee and juice bar specializes in juice on the go, wellness shots, and healthier takeaway items. Perfect for the downtown breakfast and lunch crowd, Pulp & Grind also offers a slew of baked goods including Vegan options. Pulp & Grind opened an Uptown (5720 Magazine Street) location in April 2017 which features a menu identical to the Camp Street location, including fresh, cold-pressed juices, scones, biscuits, quiches, bagel bombs, muffins and cookies. 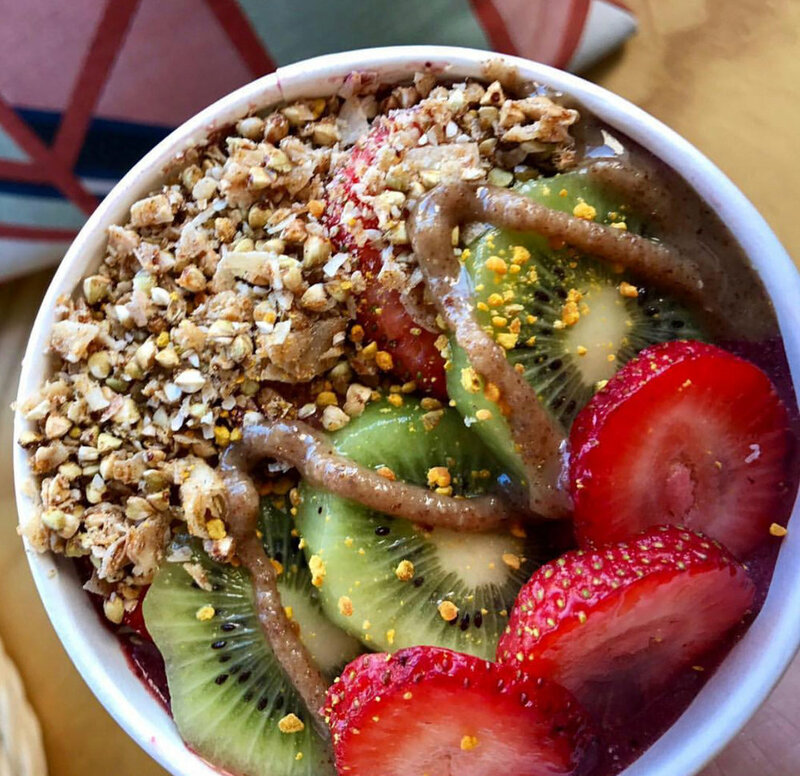 Raw Republic is a grab-and-go place in Uptown New Orleans which serves up 100% organic, raw juices, smoothies and Acai Bowls. They also offer quick vegan and raw foods to-go, and a variety of holistic health care products. Raw Republic sells juice cleanses which start at around $50. If you’re looking for a healthy snack, a quick lunch or a light dinner, check out Raw Republic! Seed, located in the Lower Garden District neighborhood of New Orleans, offers a ton of vegan and raw meals. Many of their dishes are like the vegan version of comfort food with items such as nachos, po’boys and pad thai. In addition, they also offer fresh juices, smoothies and cocktails. This hip, casual spot is open for brunch, lunch and dinner! Carmo is a vegan, vegetarian and seafood restaurant and bar with a tropical flare. The restaurant’s menu is highly influenced by the Caribbean, Central and South America, West Africa, Southeast Asia and the Gulf region. Carmo serves up exotic juice (and cocktails), huge salads, Poké, ceviche, curry dishes and tons of amazing specials. The grilled avocado appetizer is delicious and the “Rico” entreé (pulled pork over grilled plantains) is to-die-for. Located in the cool and trendy Warehouse District, this casual and affordable health-conscious restaurant is gem! Condé Nast named The Green Fork one of America’s best juice bars! They offer vegetarian, vegan, gluten-free and Paleo options with everything from hearty salads, nourishing soups and curries to refreshing juices and smoothies. Many of their dishes are even Whole-30 approved! This Lower Garden District cafe is open for breakfast, lunch and dinner! Satsuma Cafe has two locations: one in the Bywater and one Uptown near Tulane’s campus. Satsuma places an emphasis on simple, wholesome menu options and focuses on doing these things very well. The staff are friendly and accommodating, the service is quick and the food is delicious. They offer both breakfast and lunch options in addition to fresh juices and fresh coffee. Satsuma is very casual: you order at the counter and seat yourself. If you’re headed there on the weekend, you’ll likely find the line out the door, but it’s worth the short wait!